When Obama backed off attacking Syria after Putin punked him, the whole world viewed it as a humiliation for Obama. In LGF world, Obama’s Syria policy was a success. Libya which is falling apart into zones controlled by al-Qaeda linked militias, is also viewed as success. 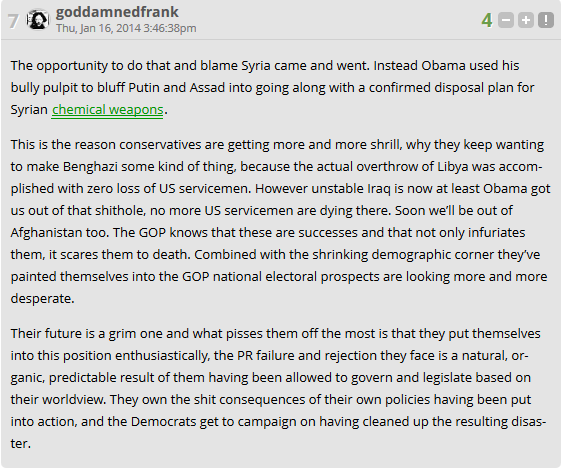 Resident loser goddamnedfrank spins Obama’s obvious failures as a success. It must be good to live in a fantasy word devoid of reality.